Interest Groups This past Wednesday, most students picked their top 5 interest groups. We will complete these with any students who were missing that day and form the groups this coming Wednesday afternoon. 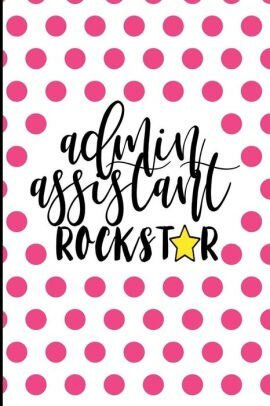 We will then give a list to each teacher and interest group leader so they can plan their lessons with the levels and numbers of students in mind. The first day of interest groups is Wednesday May 8th. EAL tutor we will have a new EAL mentor, Kiera Stillwell, begin working with our students who require EAL support. Her first day will be this coming Tuesday. Welcome Ms. Stillwell! Plastic Bag Grab 2019 Challenge As part of Earth Week, If anyone has plastic bags at home that they would like to donate to be recycled, please send them in to your child’s homeroom teacher. We can all work to protect our earth! Students Moving If you have any plans of moving or transferring your child to another school, please let us know. PSSC Meeting the next PSSC meeting is tonight at 6:30 pm. - Sat May 4 – Creeker Craft Fair! – 10 – 2 pm! - Wed May 22 – Garden Creek Volunteer Lunch! Once a Creeker, Always a Creeker! Good Monday to you , Creeker Families! The snow is melting fast, it has been sunnier out and it is always sunny inside at the Creek! I wish you all a Happy Easter as we approach the holiday at the end of the week. Personalized Learning and Interest Groups –our school improvement plan is focused on our teachers having a better understanding of personalized learning, meeting students where they are academically and socially and giving more choice to students in their learning, where possible. 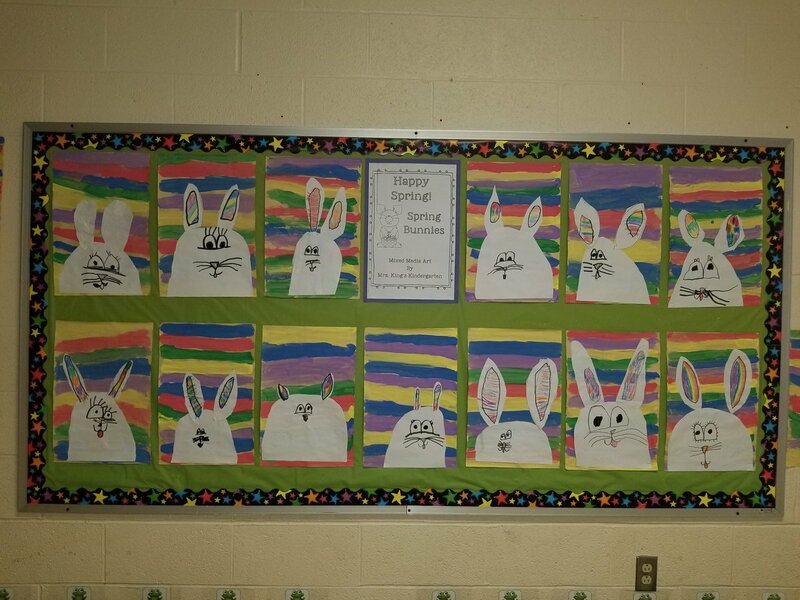 This is being achieved through more collaborative teaming in planning and flexible grouping of students in Literacy and/or Math, choice in center work as well as students running more clubs when possible. In the month of May, beginning May 8, for one hour a week for five weeks, teachers will be offering 24 interest modules to students that fall within Howard Gardner’s eight multiple intelligences. 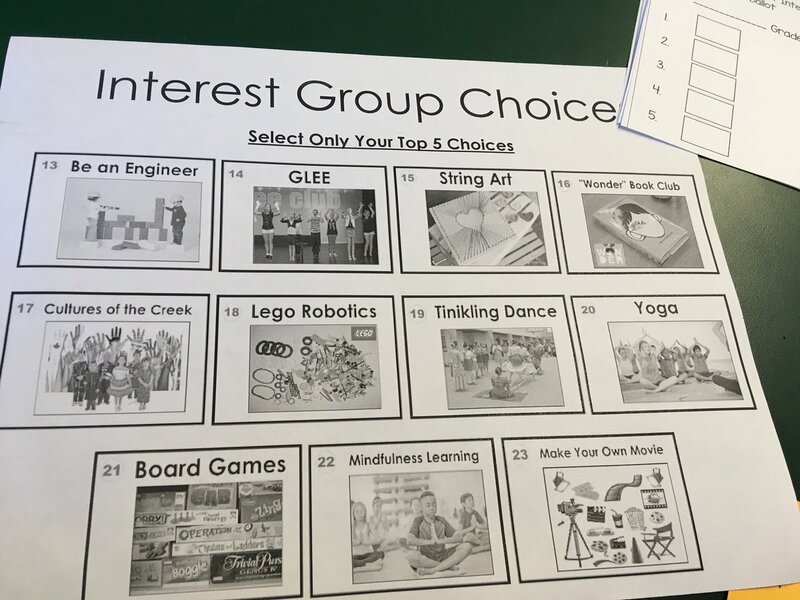 This Wednesday, with the help of their teachers, students will list their top 5 choices based on their interests ; they will be placed in a group that falls within one of those choices. Each week, students will meet with the teacher offering the group and take part in lessons and activities around this interest. Following the 5 weeks, groups will have a chance to display any products or share their learning with the rest of the groups. Please see the attachment for a list of the groups. Talk With Our Kids About Money Day this Wednesday! – This Wednesday, April 17, is Talk With Our Kids About Money Day – a designated day every year, when families and teachers can make a point of talking with kids about money so they become more knowledgeable about money and make better and more informed financial decisions in life . Please go to talkwithourkidsaboutmoney.com for more information on the home program. Canada’s Favorite Crossing Guard – we have a chance to highlight what a great job that our crossing guard, Anne Draper, does at the top of our hill, keeping our students ( and parents!) safe as they cross. For more information and to nominate a crossing guard, register here. Parent Info Night on Anxiety at KCS – Kingsclear Consolidated will host a parent information night on the topic of Anxiety- tonight, April 15th at 6:00 pm. Special Speaker will be Gina Mallard. All welcome! Parent Info and Discussion on Internet Safety at Garden Creek - We will be hosting a parent night on internet safety, Tuesday, April 30th at 7:00 pm. We are inviting parents of KCS as well to attend this. Patrick Campbell, Guidance at Barker’s Point, has delivered this presentation at his school and it was both “eye-opening” and lead to a great discussion. Please see attachment. - Wed May 29 – Welcome to K afternoon for new Ks 2019! Well it looks like last week I jinxed us with my positive,, sunny spring weather statement – as I look out my window, I see flakes falling ! Term 2 Achievement Reports – Thank you to all our parents who met with our teachers. If you did not get a chance, please call and set up an appointment – it is never too late for a good conversation about your child’s progress. As well, please send in those goal forms if you have not yet done so! Creeker Book Fair – Thank you to all our volunteers and especially Mrs, Doucet in all the work that went into the book fair. We made $ 5688.60 , which mean $ 2559 in books for our school! YAHOO!! Thanks for your ongoing support. Parking Lot Traffic Improvement – You may see me outside by the parking lot exit more often at end of day, asking that you ensure you do not park beyond the fence into the driveway. We need to keep that area clear for the safety of our students. Thank you! Donations for Raffle for Craft Fair needed! – As our Home and School work on our 1st Creeker Craft Fair coming on May 4th from 10 – 2 pm , we are in need of donations for the raffle , specifically gift cards of any denomination and from any business ( as in store or restaurant etc..) . You can drop these off at the office and we will collect them. Thanks for your help! Parent Info Night on ANXIETY at KCS – Kingsclear Consolidated will host a parent information night on the topic of Anxiety- April 15th at 6:00 pm. Please open attachment. Special Speaker will be Gina Mallard. - Wed Apr. 24 – Grade 5 Heritage Fair at the Creek – 61 projects!